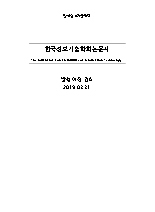 Jin-Oh Jeon, Min-Sup Kang,(2011).Robust User Authentication mechanism for Mobile DRM System Based on AES Algorithm.한국정보기술학회논문지,9(2),93-100. 통신망 기술의 발달로 모바일 디지털 컨텐츠 분야에서도 다양한 방법으로 컨텐츠를 보호하려는 연구가 활발히 진행되고 있다, 메타정보와 키를 이용하여 불법 유포를 방지하고, 인증서 발행 및 관리에 중점을 두고 컨텐츠를 보호하고 있지만 비밀정보 노출 및 권한검증에 여전히 많은 취약점을 지니고 있다. 본 논문에서는 컨텐츠의 비밀정보 노출의 보호를 위해 휴대폰 번호, 단말기 번호 등을 이용하여 컨텐츠 사용에 따른 권한을 이중화하여 관리한다, 또한 replay-attack 방지를 위해 3차에 걸친 사용자 인증 과정을 통해 디지털 컨텐츠의 배포가 안전하게 이루어지는 mobile DRM 시스템을 구축한다. 그리고 불법사용방지 및 저작권 보호 등 강력한 사용자 인증을 위하여 1, 2차 인증 절차에서 국제 표준 암호 알고리듬인 AES를 이용하여 컨텐츠의 보안을 강화한다. Owing to rapid advancement of telecommunications technologies, there have been many studies on contents protection based on various schemes in the field of mobile digital contents. Until now, contents protection has been focused on blocking piracy, issuance/management of authentication certificates, but there are still many vulnerabilities in terms of disclosure of classified information or authentication. This paper attempts to protect classified information on contents based on the redundant management of permissions for contents utilization via cellphone number or handset number. It also discusses the building of secure mobile digital right management (DRM) system at which digital contents would be distributed safely through triple user certification processes to protect replay-attack. And the paper discusses strengthening of security of contents based on the Advanced Encryption Standard (AES), an international standard encryption algorithm, in the processes of primary/secondary authorization processes for the sake of strong user certification to prevent piracy and to protect copyrights.